It’s human nature to want to get things done in the fastest time frame possible and sometimes that means we try to “game” the system, or unknowingly take the advice of others who tell you it can be done faster and better than anyone else who is doing it. This is especially true with search engine optimization (SEO). SEO is the art and science of getting webpages ranked in major search engines like Google and Bing. There’s a right way to do this—White Hat SEO. And a wrong way—Black Hat SEO. When it comes to search engine optimization, it’s important to remember that search engines are looking for one primary thing—a good user experience. When you provide a good user experience to the user of your content, then you’re already ahead of the game. When you try to cheat the system, it may work in the short term, but it ends up getting you de-ranked in the long-term. That means when the search engines figure out you’re using Black Hat SEO techniques they’ll take your site out of the rankings and keep it suppressed. What techniques are considered Black Hat SEO? 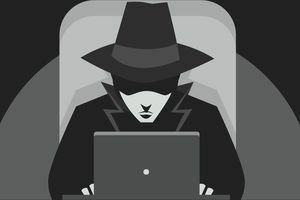 There are some black hat SEO techniques that a few disreputable SEO services will try to sell you—often claiming they are above board, so it’s important to know what they look like so you can avoid the scam. Keyword stuffing: I’m sure you've read articles that have been keyword stuffed. They often don’t make a whole lot of sense with repeated phrases inserted at random places. It used to be that you could get articles to rank simply by including more of the same keyword or keyword phrases, but now the search engines will actively punish you for this behavior. Private blog networks: These are otherwise known as PBN’s. What they are is a bunch of blogs that are owned by a private group. Their only purpose is to link back to a website that people want to rank. And they’re usually full of low-quality content. Right now, this is still sort of working. But I highly recommend against doing it. The search engines don’t like techniques like this, and when you use them you risk your entire main money site going down all at once when they figure out how to detect it. At some point Google will detect this and they will severely punish your site for engaging in this behavior. Buying back links: Please don’t do this. There are a lot of services out there where you can buy back links to your site. But those links are almost never relevant, and they’re usually of poor quality. This can harm your search engine rankings much more than it can help them. This is a big subject, but there are some best practices that can really help you get your site ranked. It’s important to remember that ranking a site in the search engines is a task that takes time and consistent effort. Optimize your site for mobile: This has become an extremely big deal—especially to Google. Your site needs to both look good and load fast on mobile. Google has explicitly said that this affects rankings, so it’s something to pay close attention to. You'll especially want to make sure your landing pages are optimized for mobile devices. Claim your local business listing: Claiming your business listing is one of the easiest ways to show up in the Google search engines. When people search for you locally then your business will show up with links to your website. It’s extremely valuable to claim your business listing in Google. Keyword research: Modern keyword research is very different than old-fashioned keyword stuffing. It’s still important to research your keywords and know what you want your site to rank for, but the search engines now understand context. So you need to use groupings of keywords within your articles. There are two tools that work really well for this kind of research—Moz and Ahrefs. Using White Hat techniques to get your site ranked in Google is a slower process than what Black Hat SEO promises, but the results are much more stable and much longer-term. Even if you can get away with using Black Hat Techniques in the short term, they will nearly always cause you to lose your rankings in long-term. If you're in business for the long term than using White Hat tactics will guarantee long-term success of your business.